Molokai, Hawaii - Molokai Shores Vacation Condo Rentals, Molokai Beach Cottages & Houses, Molokai Vacation Condos, Vacation Homes, Beach Rentals, Accommodations, Accomodations, Central Molokai Condo Rentals. Mostly 1 bedroom units in typical box style. 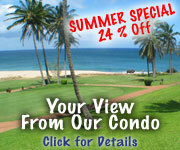 Be sure to comparison shop all the Molokai Shores condos online. Closest condos to Kaunakakai (1.5 miles). Spectacular views of Lanai across the channel, swimming pool, BBQs, Shuffleboard. Beach is nice for strolls, but no ocean swimming.